Quick post today before it's time for the fireworks. It's Independence Day here in the US of A, a day for celebrating our own independence from Britain many generations ago (it's not, however, I Hate Britain Day ... though we do find that amusing). We're grateful for to the British for giving us the basics of a working language, their religious progressives, and, um, the foundation for the Utilikilt. Not for David Beckham. But that's another post. This song may have little to do with American Independence, or Britain, or fireworks, but it's still a celebration of freedom. And there's a Jewish proverb that's appropriate for this day: Tonight we dance, for tomorrow we may have lost fingers to inappropriate fireworks use. Happy 4th of July. May freedom reign across the world, not just in the USA. Though we could use some here as well (I'm looking at you, giant multinational corporations). Good to hear the Klezmer love. Just saw Slavic Soul Party in concert - they've got a good Balkan sound going on too. I'd be interested whether you know of any bands that fuse Klezmer and other genres - Slavic Soul Party mixed it with funk, which I admit made it more appealing to my over-Americanized ear. Jimmy - I'm a little envious... I haven't seen Slavic Soul Party live myself, though I've caught their cousins Balkan Beat Box a couple of times. Yes, there absolutely are other musicians mixing klezmer up. Abraham Inc. does it with funk & hip-hop; Yale Strom and Frank London do it with jazz; eprhyme raps; Vagabond Opera does Yiddish Vaudeville (among other things). Hope that gives you some ideas for exploration. 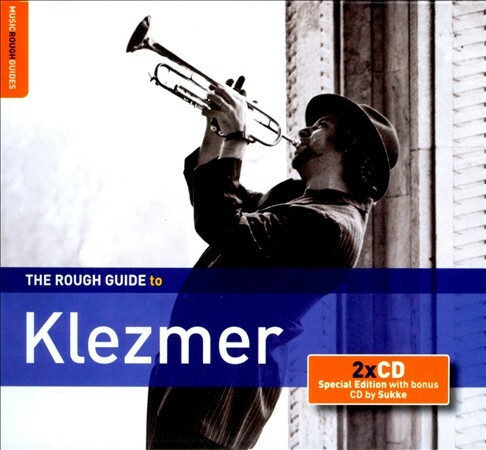 Also, I've recently received a couple klezmer-flavored albums that may be reviewed on SoundRoots...so watch this space! Oh, and don't overlook Hasidic reggae star Matisyahu!